One of your goals for 2017 may be to open your own business. If you’re considering making the leap into entrepreneurship, Hungry Howie’s could be the right fit. Choosing a franchise is a great way to start your own business without needing to build a brand. 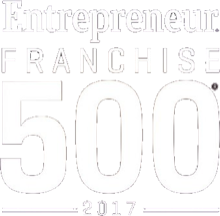 In franchising, the franchisor provides its trademarked brand and system of operations to its franchisees. 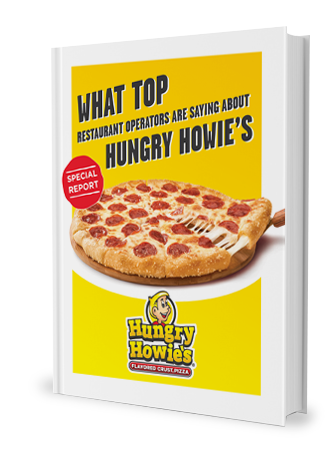 With Hungry Howie’s, the brand is already established and has been for decades. The beginning of the year is often when people show themselves love by making some of their biggest life changes. From deciding to start school, to eating healthier and exercising, to finding a new career. If you’re seeking a career change, it may be time to consider becoming an entrepreneur: fall in love with franchising. Franchisees come from different backgrounds, levels of education, and experience. However, there are many shared characteristics, including determination and courage in striking out on their own. Opening your first franchise can be an exciting event, but also one filled with anxiety. Will people show up? How can I turn new customers into repeat customers? What if something goes wrong? These are just some of the questions that will likely run through your mind. However, by preparing for the big day, you can put your mind at ease. As a franchise, your brand image is already strong, but you will still need to cultivate a strong local presence. One way to establish your new business is by creating a solid social media following. With Facebook boasting 1.6 billion users, Instagram at 400 million users and Twitter with 320 million users, social media is a straightforward and affordable way to reach locals. The costs of opening a franchise will vary based on the type of business. As one of only a few low cost franchises, Hungry Howie’s start-up costs are between $253,075 and $453,850. The net worth requirement for franchisees is $300,000 and liquid cash requirement is $100,000. Furthermore, the ongoing royalty fee is 5%, which is less than many other franchises. If you’re considering getting into the pizza business, it is important to research which pizza chain is right for you. Congratulations on making the decision to open up a franchise! Now, one of the first steps is to pick a pizza franchise location. There are currently 550 Hungry Howie’s locations across the U.S., but there are still plenty of areas lacking in pizzerias. Your local knowledge coupled with the franchisor’s experience and guidance can maximize your chance at success. The decision you make for a pizza franchise location should be well-researched, rational and systematic. 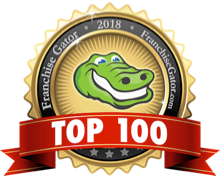 There is an abundant number of franchises to choose from if you are making the decision to become a franchisee. If you are looking for a tried and true choice, you may be leaning toward a food franchise. Pizza is an American staple, despite its roots in Italy. In fact, pizza has become so popular in the U.S. that Americans are officially eating more pizza than ever before. The U.S. is home to an estimated 21 million college students. These students are usually thought to be young 20-somethings, but with today's ever-changing demographics, that market now encompasses adults between the ages of 18 and 30. Reaching millennials, including college students, can be difficult due to the wide age range, often listed as between 18 and 34. Furthermore, not all college students are alike. While some may be teens fresh out of high school, others may have just returned to school in their early 20s, and some may even be parents.